My name is Khushi (which means ‘Happiness’) and friends love spending time with me as they think that I spread Happiness! I was born in a small town called ‘Palghar’ and brought up in a busy and beautiful city called “Mumbai” which is the financial capital of India. My family consists of 3 elder sisters and 1 younger brother. My father owned a Restaurant and my mother was a Housewife. When I was 14, my father passed away and my Mom and my brother were left behind, shattered. By the grace of God, my sisters were happily married at the time. Since there was no one to support us financially, I chose to start working to look after my family. I had to leave my studies mid-way as a part time job’s salary wasn’t enough to meet our needs. A company was looking for an experienced Sales person but I was a fresher at that point in time. I asked that they give me a chance to prove myself and convince them that I will be an ASSET and not a liability. So, they hired me on a 3 months contract with a specific target which if I failed to achieve, would end my contract. With much determination, I achieved my target and I was hired on their Payroll. I began my career as a Sales Promoter where my job was to promote Sony Products (Television and Music Systems). The owner recognised my ability, and chose to hire me to work for him directly to help clear his stocks from other brands. After a while, the owner of the business recommended that since I have a pleasing voice, I should get into some phone sales and support. There I could work for 9 hours a day instead of 10-11 hours a day, and with much better pay. So when the opportunity to work for a DSA of CITIBANK rose, I took it. My job was to call prospects and sell them Pre-Approved Loans over the phone. I was always complimented by the clients for my voice and this boosted my confidence to apply for a job in an International Call Centre – which was one of the highest paying companies in 2004-2005. I began working as a Tele Sales Executive and I was one of the Top 5 Executives. I always believed in delivering Quality Sales and was granted “The Best Quality Sales Performer Of The Year” (2005) award. I also received an award for being the “Top Performer of the Year” for 2 consecutive years (2005- 2006). I have worked in processes like Telecom Sales (sold contractual cell phones), Lead Generation, Inbound Customer Service, Upselling, Upgrades, Conduct Surveys over the phone, etc. I met my Soulmate at the office where we both worked, and tied the knot in 2008. 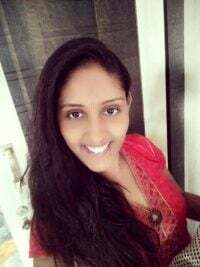 I moved from BPO to KPO in 2010 as Business Development Executive / Sales Manager where my core job was to interact with the clients and discuss the scope of work and check with the operations team if we have suitable candidates to work on the task. If yes, I would then schedule an interview and if the client approved, discuss the pricing and get the client on board. I gave birth to an adorable baby boy in 2012, and consequently I was no longer able to work onsite. I was lucky enough to have the opportunity to work virtually for an Australian company. Since I was dealing with overseas clients for about 10 years, I had a hard time dealing with local clients. For this reason I chose to try to find work overseas. A friend of mine suggested that I should try my luck in Dubai as it’s the closest country. He scheduled an interview for me in Dubai in 2017. Tragically, while I was overseas I received the news that my Mom had passed away! 🙁 It was one of the biggest losses and shocks of my life. Following the life-altering impact of losing my Mom I had to make a choice. I either focus on what I have lost… or I keep myself busy and focus on raising my son and building my career – and use my strength to move forward. I choose the latter. For a copy of Khushi’s resume please click here.